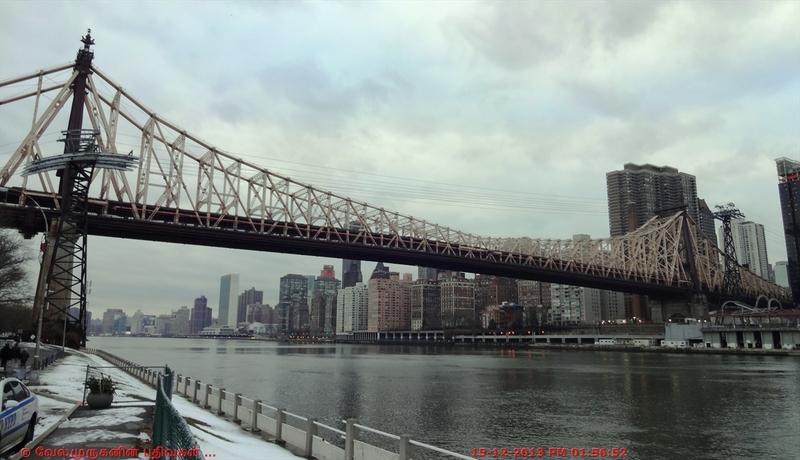 The Queensboro Bridge, also known as the 59th Street Bridge – because its Manhattan end is located between 59th and 60th Streets – and officially titled the Ed Koch Queensboro Bridge, is a cantilever bridge over the East River in New York City. 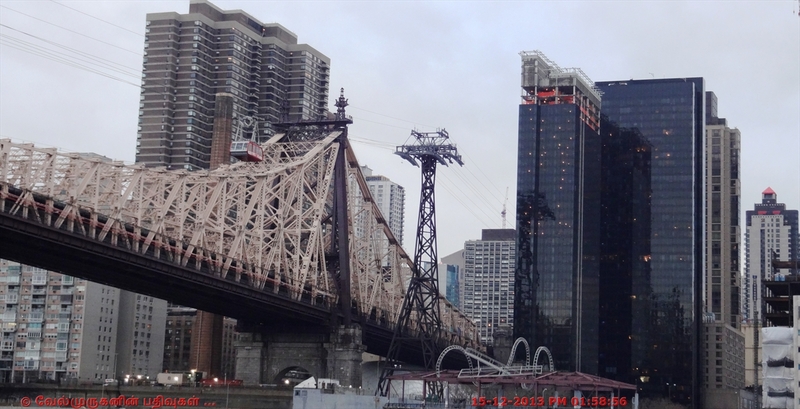 It is toll free bridge mainly connects the neighborhood of Long Island City in the borough of Queens with Manhattan, passing over Roosevelt Island. 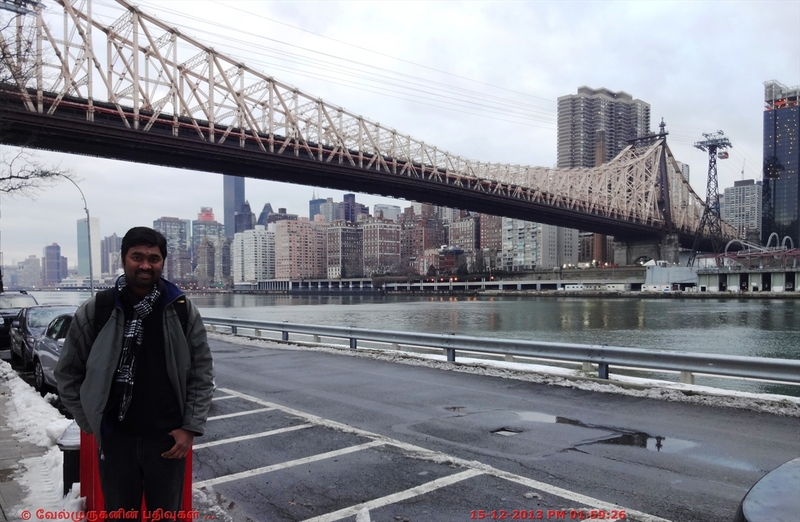 Footpath walk over is available in the Queensboro bridge, we can enjoy the beautiful view of Manhattan & Roosevelt Island. Cantilever : A projecting structure, such as a beam, that is supported at one end only and carries a load at the other end or along its length. 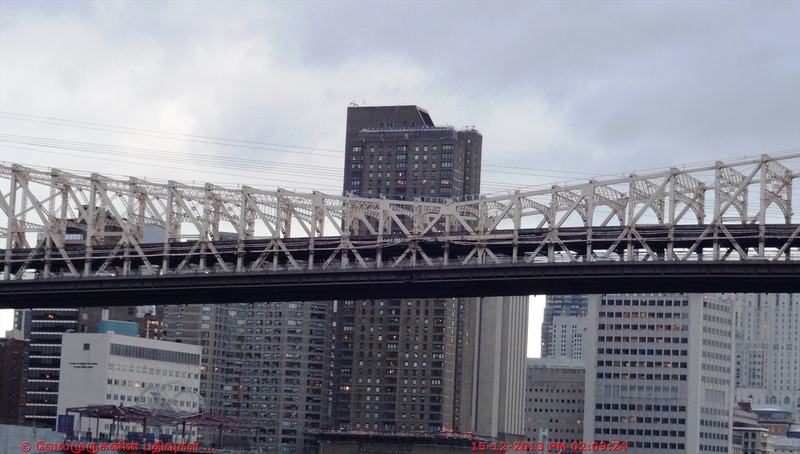 Cantilevers are important structures in the design of bridges and cranes. 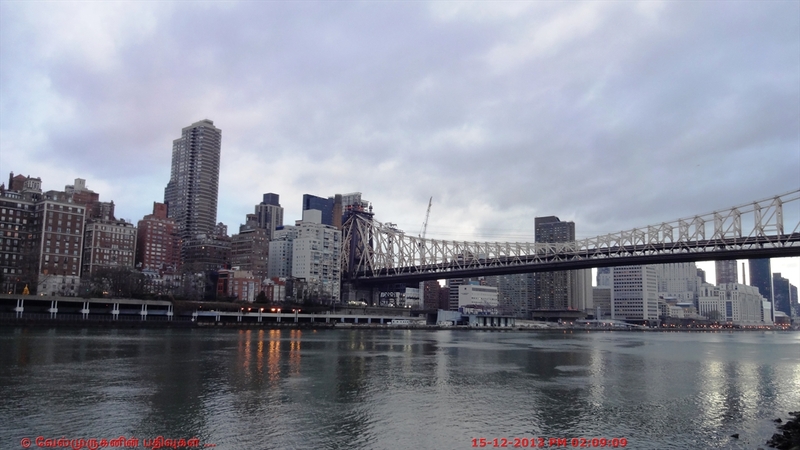 The Queensboro Bridge is a double cantilever bridge, as it has two cantilever spans, one over the channel on each side of Roosevelt Island. 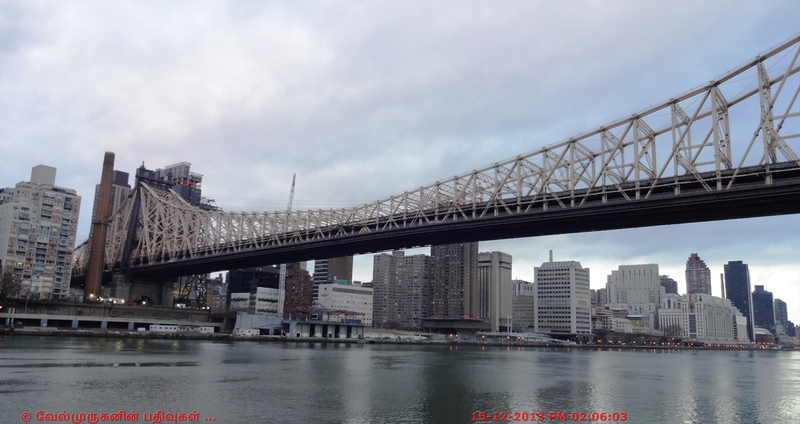 The bridge does not have suspended spans, so the cantilever arm from each side reaches to the midpoint of the span. 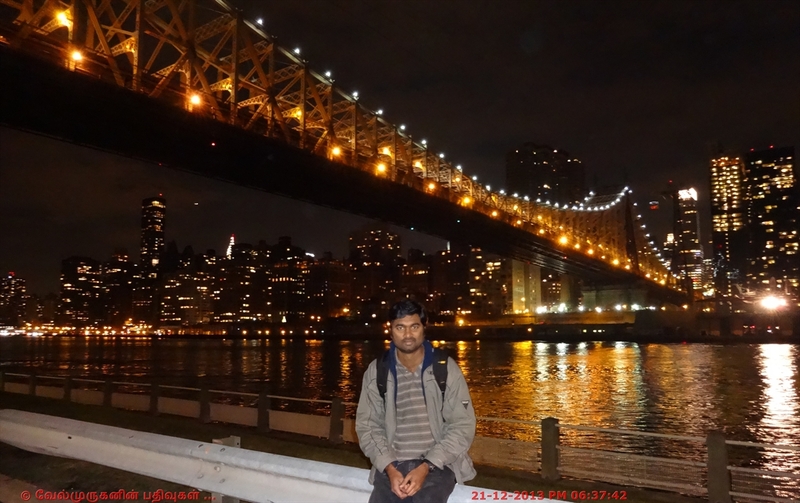 Note : In India also we have the same type of bridge, The Howrah Bridge, over the Hooghly River in West Bengal, India.